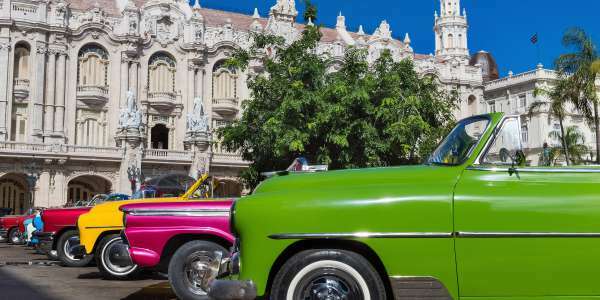 This two-week itinerary from the port of Miami includes time to explore the coast of Mexico and the islands of Cuba, Jamaica and the Caymans. Choose your MSC experience for special amenities like included dining, spa services and upgraded cabins. Planning a trip to the sunny Caribbean? Excellent choice! Turn your trip into a Western Caribbean cruise, and enjoy a dynamic vacation filled with different cultures, beaches, and remarkable experiences. Thanks to its uniquely beautiful sun-soaked shores, rich history, and exciting opportunities for adventure, your cruise itinerary will fill up in no time. Through Dunhill Travel Deals you can find Western Caribbean cruise deals for quieter, more exotic destinations such as Roatan, an island surrounded by coral reefs that make for a great deep-sea adventure. Or, choose a cruise to the beautiful blue-green ports of Cayo, Belize, to explore the historical Mayan sites of Altun Ha and Xunantunich. You can also find Western Caribbean cruise deals that include livelier spots in the Bahamas, such as Paradise Island, where you’ll find a bustling casino and loads of beachside activities. Celebrity Cruises, Holland America, Oceania Cruises and Costa Cruises are just a few of the many lines with the best Western Caribbean cruises to these destinations. You can occupy your time between ports with their onboard entertainment — from bars and nightclubs to waterslides for the kids! Western Caribbean cruises also travel throughout the Gulf of Mexico. You'll find cruises with ports in culturally rich areas of Jamaica’s laid-back atmosphere, or you can find a cruise line that docks in Ocho Rios, where tourists go for energetic water sports, eco-tours, and lazy days on the white sand beach. Other cruises port on the Mexican island of Cozumel, where some of the world's most beautiful sea creatures reside, making it the perfect place to plan an off-shore snorkeling excursion. You may also visit Cabo San Lucas and Mazatlan with cruises to Mexico. Traveling without a passport? No problem! Just try browsing our database of Eastern Caribbean cruises, and you will find plenty of options that allow you to soak in the sun without the hassle of extra paperwork, including Puerto Rico, the Virgin Islands, St. Martin, St. Thomas, and St. John. Even better, you can enjoy these deals from all over the country. Dunhill Travel Deals has sourced Caribbean cruises from Miami, New Orleans, Tampa, southern California, and Puerto Rico. We’ve got the deals — all you’ll need is some new beachwear! Searching for a Caribbean cruise? Shop our discounted rates and added value offers from major cruise lines. Western Caribbean cruise not your style? Explore Puerto Rico, U.S. Virgin Islands, and other Eastern Caribbean cruise hot spots. How About Mexico by sea? Mexico cruises take you to spots such as Cozumel, Puerto Vallarta, Costa Maya and Cabo from many departure ports. Explore beyond the Western Caribbean and think about a European cruise thru France or a Med cruise to Spain, Greece and more! Explore the option of river cruising with a luxury voyage on the Seine, the Danube or the Mekong. Learn more about river cruises. Hawaii cruises allow you to see 4-5 Hawaiian Islands and cross one of those bucket list trips off your list! Take an Alaska cruise and enjoy mother nature in all its splendor from your luxurious balcony cabin.